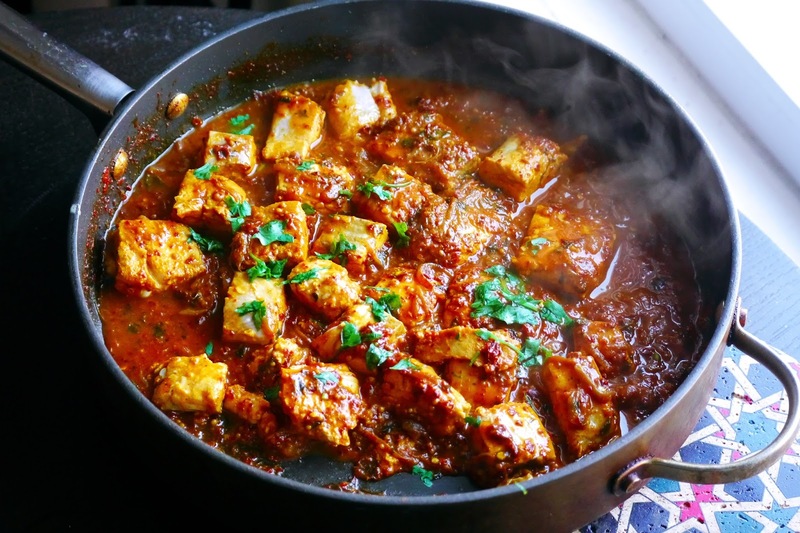 This fish curry was inspired by the Kerala Style fish pickle condiment. Traditional Indian fish pickles consist of fried fish, smeared with highly acidic masala sauces. The goal of such pickling seem to be the longer preservation of fish in hot weather. To develop a curry recipe, the amount of vinegar was reduced and a significant amount of caramelized onions was added. The sweetness of onions furnished a balanced taste and countered the acidity of vinegar. Fish curries can be made with cheaper and less superior pieces of fish, such as frozen salmon or tilapia. If you tend not to use prepared caramelized onions, use a large yellow onion and caramelize it for 20 minutes on low heat. Add the garlic, ginger, and mustard seeds. Toast the seeds in the oil until starting to pop up. Add turmeric and fenugreek and also toast in the oil. Meanwhile, finely blend the chilies (seeds and stems removed), vinegar, hot sauce, and 1 cup of water. Add the blender content to the pan and bring to a boil. Add the fish pieces and reduce the heat to medium low. Cover and poach the fish for 2~3 minutes or until the fish is fully cooked. 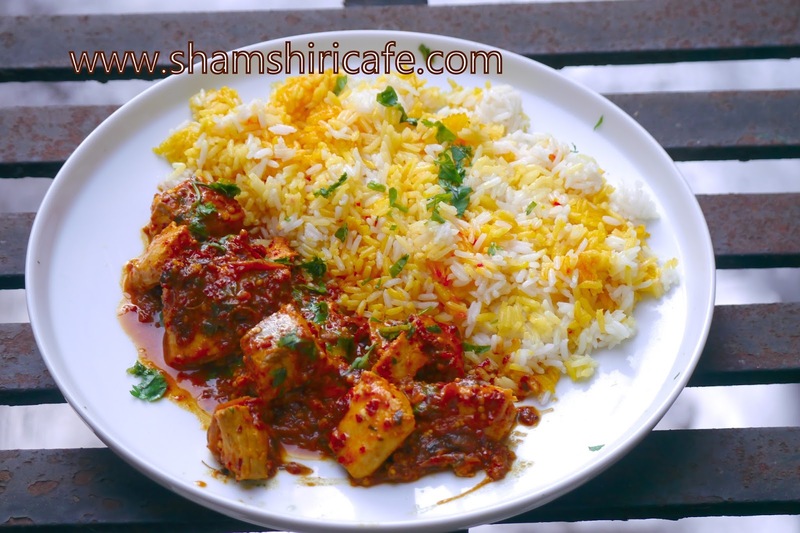 Serve with Persian style saffron rice.